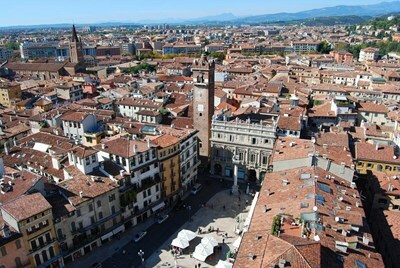 Verona is a city in the Veneto, northern Italy, with approx. 265,000 inhabitants and one of the seven chef-lieus of the region. It is the second largest city municipality in the region and the third of northeast Italy. This description uses material from the Wikipedia article on Verona and is licensed under the Creative Commons Attribution-ShareAlike License (view authors). 32 people want to do this. 10 people have done this.